That’s right, I have begun sewing my hexie strips together for the Dragon Quilt!!! Squeee ~ super exciting! Yesterday I was able to sew two rows on while at the All Day Sew that the PMQG hosted… and I figured out a better way of sewing them. 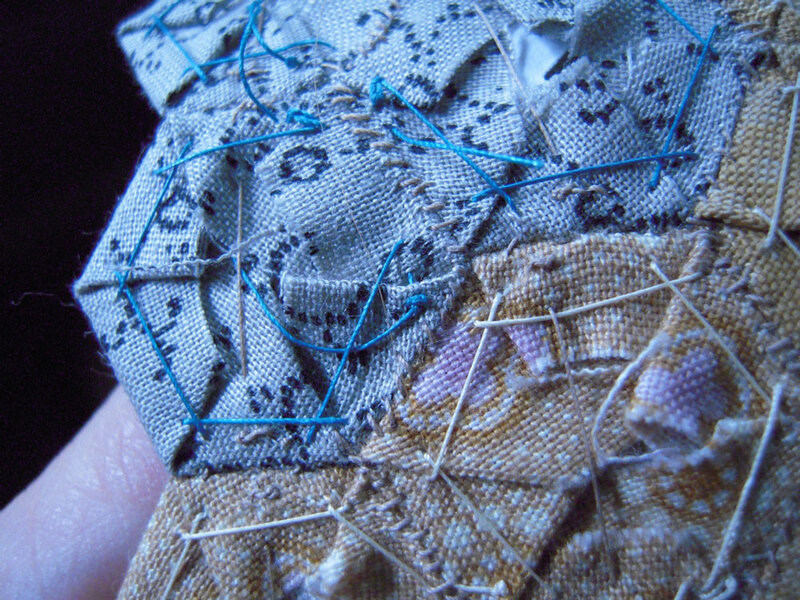 To sew the rows, I put the hexies wrong sides together and stitched from the outside so when folded open the seams totally disappear. This is great, but very hard to do sewing a strip to a strip. 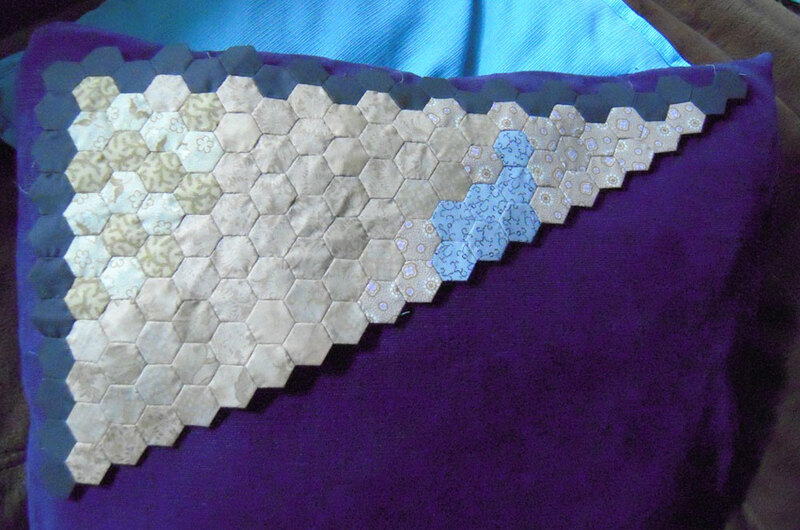 I WAS folding the hexie strips in weird positions to get the two right sides together to sew my hidden seams, but I found that it is way easier to leave it flat and work from the backside and use a simple small whipstitch. Here’s a shot of the backside of the project. You can see my new little whipstitches which work GREAT. My biggest worry about hand sewing is that it may fall apart… but not so with this stitch. I tend to keep up with the majority of my blogs via Facebook… so I missed this when you posted it. I've been wondering how you've been doing on your quilt. I finally thought about it at a time when I had time to look you up!